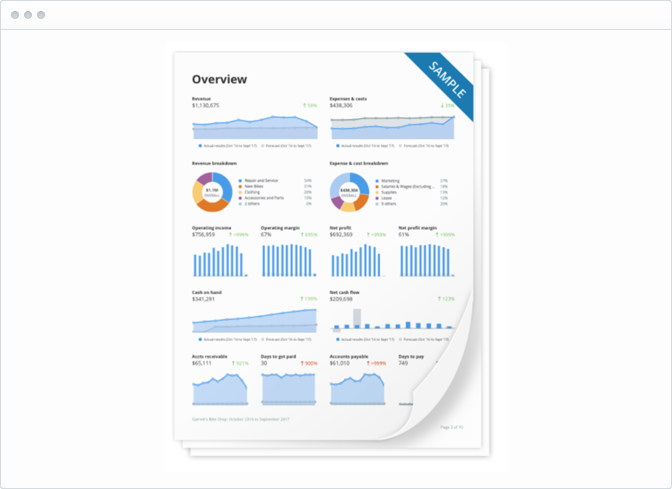 LivePlan is the simple, pain-free alternative to spreadsheets and accounting reports. Get the insights you need to grow your business. 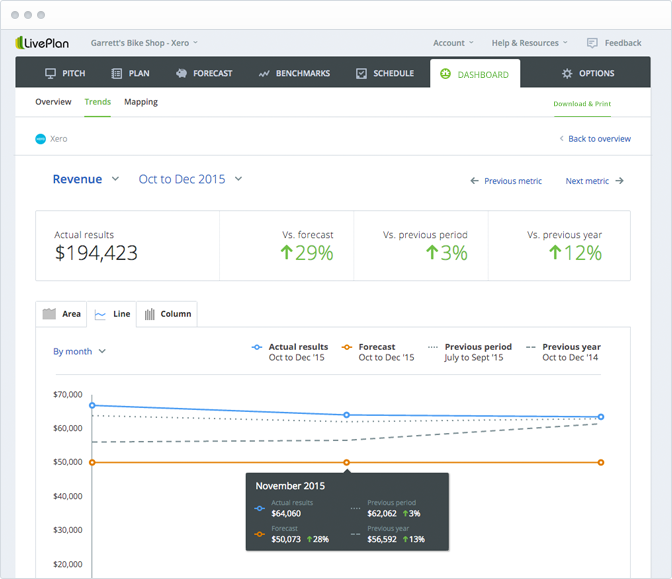 Sync QuickBooks or Xero for better, simpler reporting. 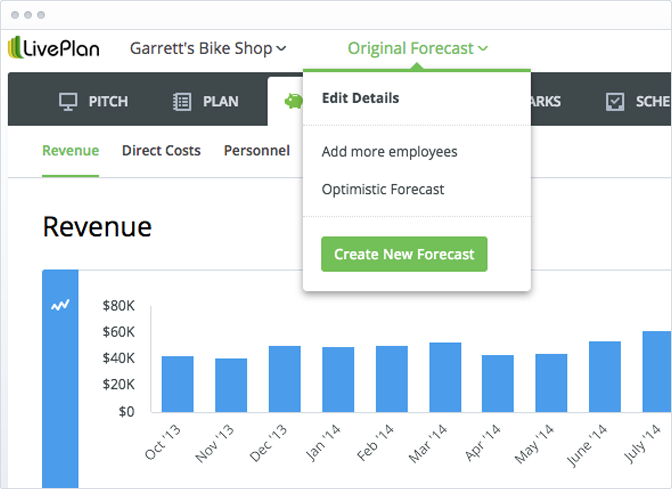 Create automatic forecasts and budgets from accounting data. 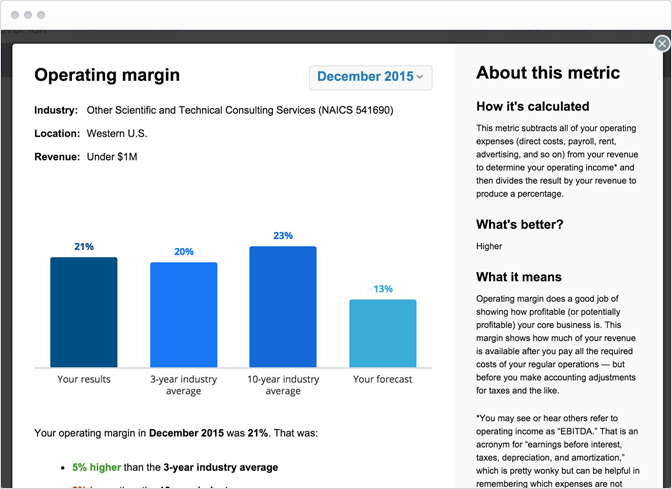 Always know how your business is doing—without running reports from your accounting system. 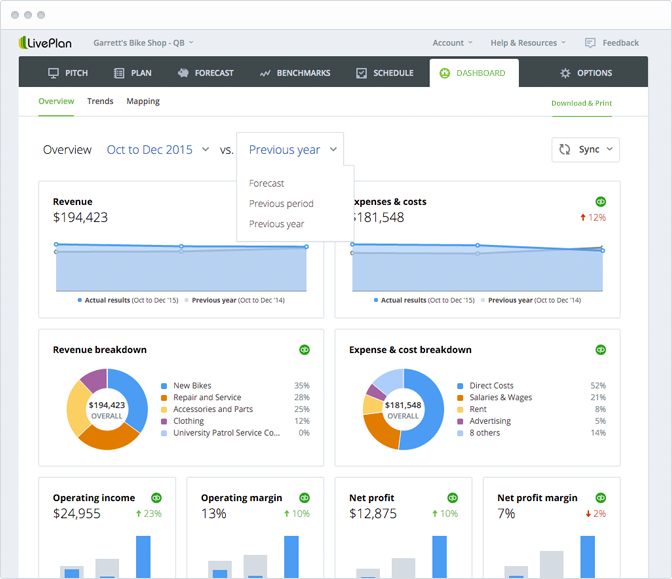 LivePlan takes the pain out of your budgeting and forecasting process. 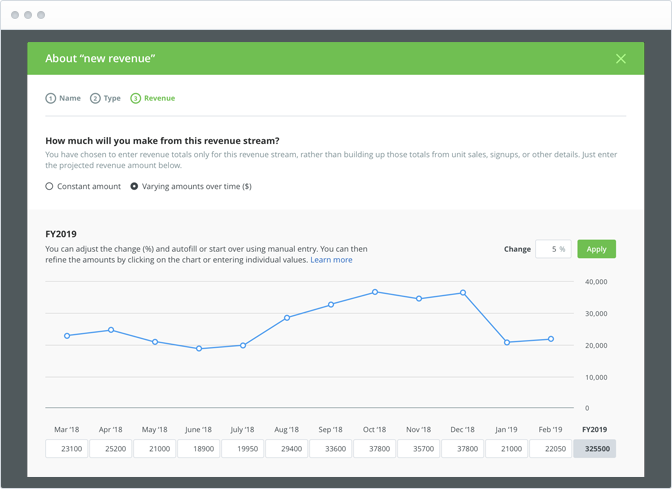 Just import your accounting data and apply growth rates or tweak the numbers manually — you’ll have a complete forecast and budget in no time. 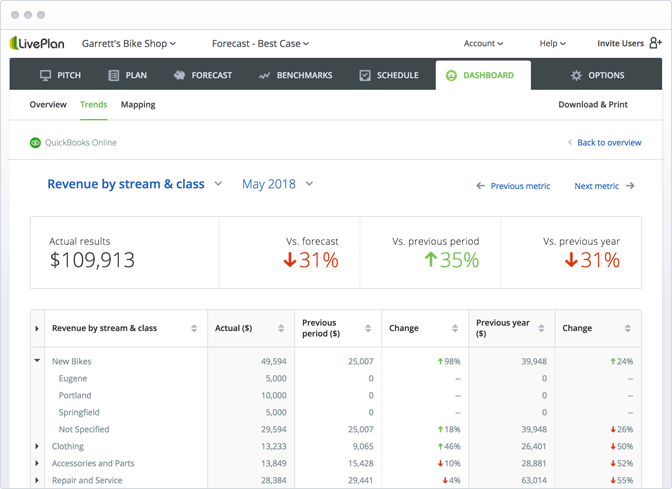 The LivePlan Dashboard will automatically compare your forecasts to your accounting data, so you can see if you&apos;re meeting your goals — anytime, anywhere. We know how frustrating and time consuming it can be to track your business numbers, so we built a solution that we wanted to use ourselves. Who is Palo Alto Software? How can I pay for LivePlan? Nope. You pay monthly or annually (your choice), with no commitment or contract to sign. You can cancel any time, though we can&apos;t prorate payment if you close your account mid-cycle. You can find all the fine print here. Will LivePlan work in my browser? Safari, two latest releases only (Mac only). For best results, use LivePlan on your desktop or laptop. Tell me more about the money-back guarantee. We think you&apos;re going to love LivePlan. But on the off chance you don&apos;t, you have 60 days to cancel and request a refund. Just give us a call or send us an email and we&apos;ll take care of it. Don&apos;t worry, you can take your plan with you when you go. If you decide to end your LivePlan subscription, just export your plan to Microsoft Word before you sign out for the last time. We&apos;ll miss you, but we understand. Help from a real live person is just a phone call, online chat, or email away. If you&apos;ve got questions, we&apos;ve got answers. Our customer support team works out of the same office as our developers, managers, and even the CEO, and we take customer service very seriously. We want to hear your feedback and suggestions, as well as answer any question you may have. So feel free to contact us at 1-888-498-6136 or send an email to help@liveplan.com. Want to set up more than five users? Need more than 4 active companies at a time? Fill out the form below to receive volume pricing. I&apos;m interested in volume pricing.